I can’t believe I’m already 37.5 weeks along with my pregnancy. This means I have less than 3 weeks until baby girl arrives. So much to do and so little time. Not to mention who knows when she will decide to make her debut. She could decide to come early or stay warm and cozy in her little nest for a few days past her due date. As much as I’m excited to meet her, I still want her to bake a little longer in my belly. I still need to get the final touches done with the nursery, make sure to pack that perfect hospital bag and get the house completely organized and clean. Not to mention I have patients to tend to and get all stable before I’m on maternity leave for 2 months. Thinking about all of this makes me exhausted. Thankfully I have all the necessities needed to care for my little angel when she decides to arrive. One of which is the rockaRoo by 4 moms. I know the first month after baby girl arrives will be very challenging and exhausting. 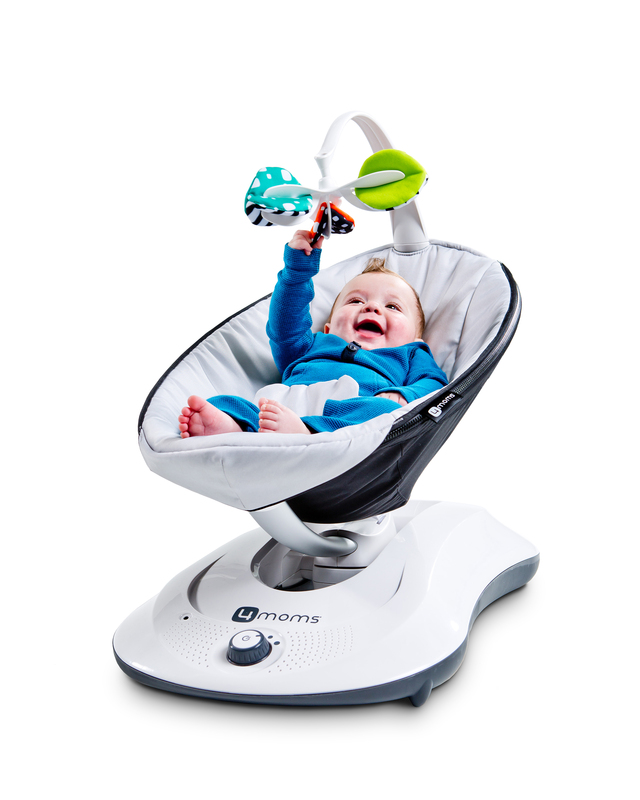 I have heard that it is very helpful to have a swing or rocker to help sooth your baby. The rockaRoo is just that. It moves with a gliding motion at 5 speeds with 1/3 the size of traditional swings. Not to mention its super light so you can take it with you wherever you are around the house. Your newborn never has to leave your side. I know this will be perfect for me when my family and guests leave and I’m home alone with baby girl. This product had been on my registry from the very beginning and I am so happy to finally have one and to have the opportunity to give one away to one of you as well. 1) Comment below and let me know why you would like to win. 3) For a 3rd entry follow me @withloveandrea and @4moms_hq on instagram and follow the instructions posted there. Your chance to enter starts today March 11th and will close Saturday March 14th at midnight PST. ← Baby Shower for the little princess!! well i think it’s pretty obvious why i would like to win, it’s the CADILLAC of baby swings! hahaha thanks for the contest Andrea, can’t wait to see who the lucky lady is. even if it’s not me hahaha i just love giveaways that much. (i already follow your blog through email). Would love too win because who doesn’t love a comfy swing that can soothe you Lil one. I NEED this amazing swing!!! I am about to be an aunt to a sweet baby girl and need to be fully equipped 🙂 thank you for the contest! Yeah giveaways!!! This is awesome! I’ve heard nothing but great things about this baby rocker and I’d love to see Baby Boy hang out in style in the rockaRoo! I already love getting your email blog updates but this was particularly exciting!!!! I’m 34 weeks and would love to win this! I hear such rave reviews of their products. I’m right behind you in your pregnancy! I’m 37w1d along with our fourth boy, our last two swings got absolutely destroyed wih the last three kids, so I need a new swing to help me stay sane with the chaos about to come our way. Budget is super tight with three other growing boys, so I would absolutely love to win this! I would LOVE to win this! I’m a first time mom, and a full time student. My son has loved to be rocked since the day he was born. Four months later, and that habit makes it hard for this mommy to get school work done until the wee hours of the morning. As much as I love rocking my little one, this would help me out with my future with getting more school work done SO MUCH! I would LOVE to win this. I am a first time mom and a full time student with a four month old precious boy who loves to be rocked. Anyday, at anytime, it’s what Jaxon loves to do. That makes it especially hard for this mommy to get school work done at a decent hour… (Have you ever tried to rock and hold a baby with one arm, while typing a paper with the other arm?! It’s HARD!) This would change SO much for me, and would definitely be appreciated. It would make getting school work done easier, all while keeping baby happy! I would love to win this! Keep hearing about this and my new baby would sit in this all the time! Aaaah only three weeks you must be so excited! I can’t even begin to imagine how I’d feel so close to a life changing event. Be brave and good luck with the finishing touches! Hi, i would love to win! I am 22 weeks pregnant with my first girl, i have 3 boys one adopted. I would really appreciate this and this would make mu family so happy! Congrats to you on your pregnancy. I need on for my son, coming in October :)! We could certainly benefit from one of these. Would make life so much easier! just a note – following you on bloglovin and now following both instagram accounts. your instagram photos are awesome! where are all the maternity shoot photos!?! you’re holding out on us, they look stunning! Thanks for following along for some time now!!! 👏👏 hope all is going well with your pregnancy!! I’ve heard nothing but great things of the 4moms brand. This would be a dream!! Followed all 5 steps on your instagram post. Would like to win because we have our first born due in 9 days from now, would be a life saver to have one of these. I also just started following your blog on bloglovin and I’m excited to read more about your little one on the way!!! I’d love to win a rockaRoo, I’m currently 32 weeks pregnant with my first, a little boy- Matthew! 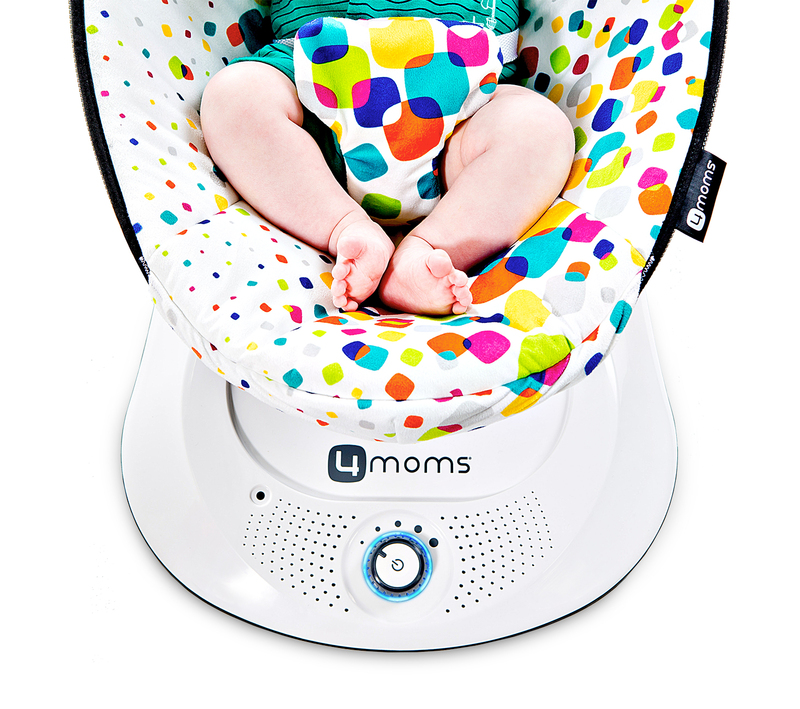 4moms was just featured in The Bump Best of 2015! As I’m finishing my nursery for Matthew, I I really want to get a rockaRoo for him! 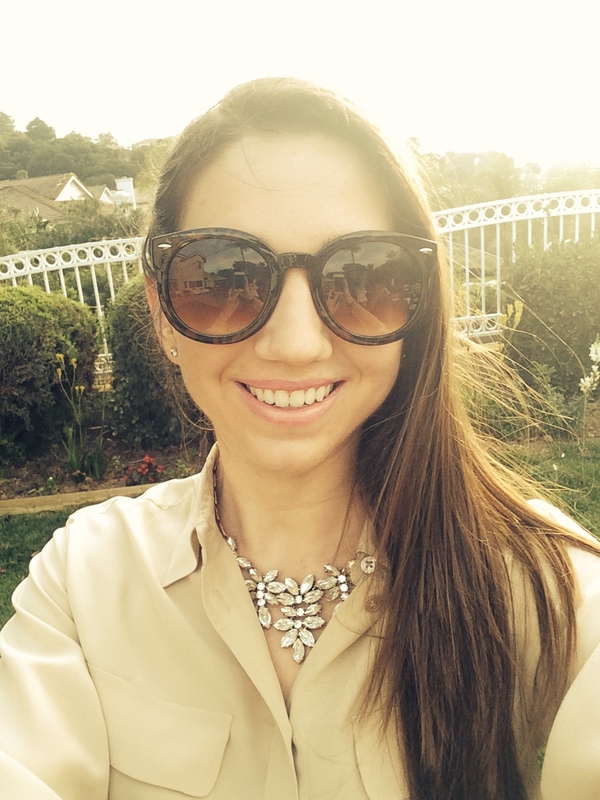 Following you on Bloglovin and Instagram too! Oh my goodness. I am dyyyyyying to have one of these! I’m dyyyyying for one of these! Thanks for the giveaway!!! 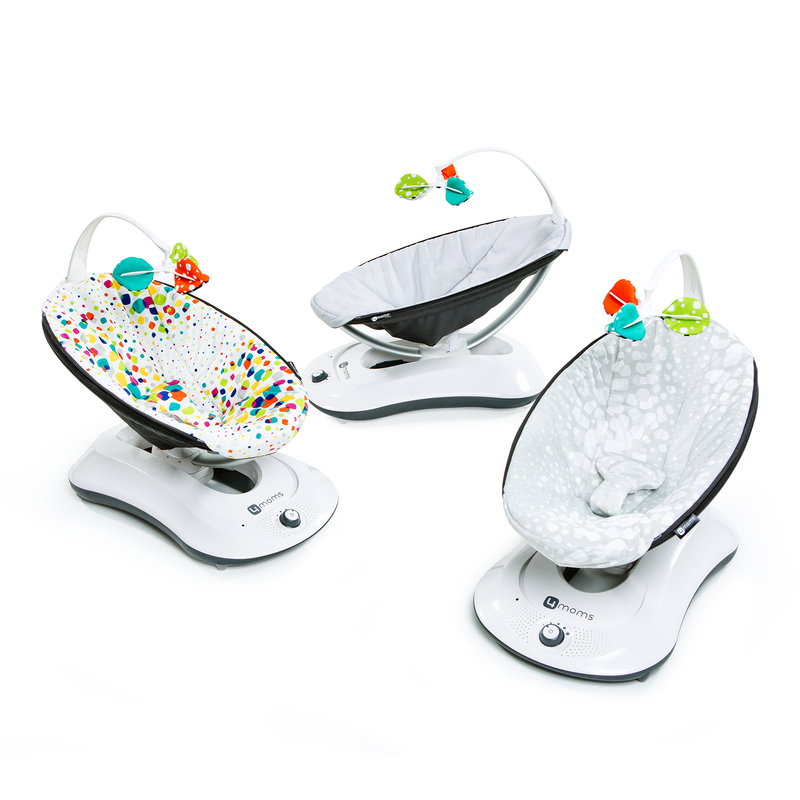 I’d love to win because I’ve always wanted to try a mamaroo or rockaroo! Would be perfect for baby #2! I would love win the Mamroo for my little guy who is on his way and due to arrive in one week! I am following you on Bloglovin’! Congratulations to Amy Martin you are the winner of the giveaway!! Please email me at wloveandrea@gmail.com with your shipping address so I can get your rockaRoo sent to you!! Thank you to everyone else who entered. I wish I could give one to everyone. I will be hosting further giveaways on my Instagram and blog so stay tuned! !